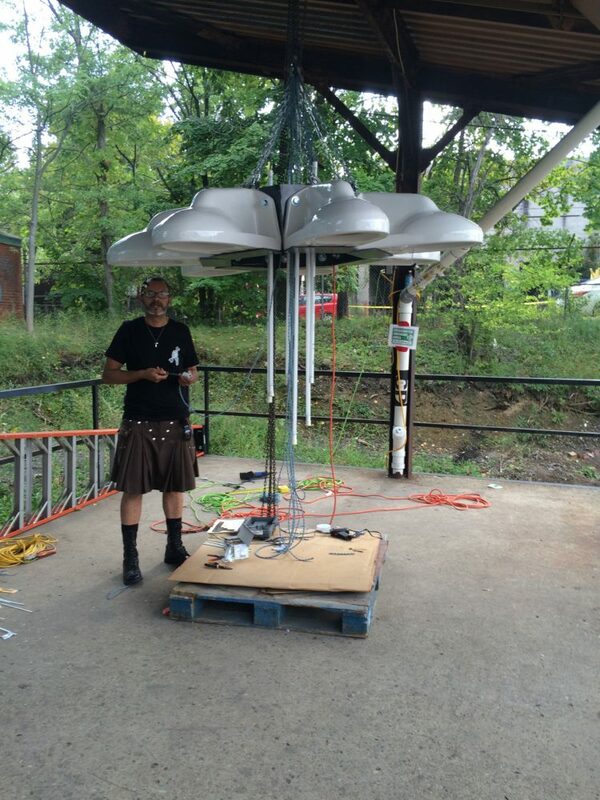 During a public event on Saturday, September 10th, refitting artist Rodney Allen Trice fashioned a brilliant chandelier made from toilet bowls. 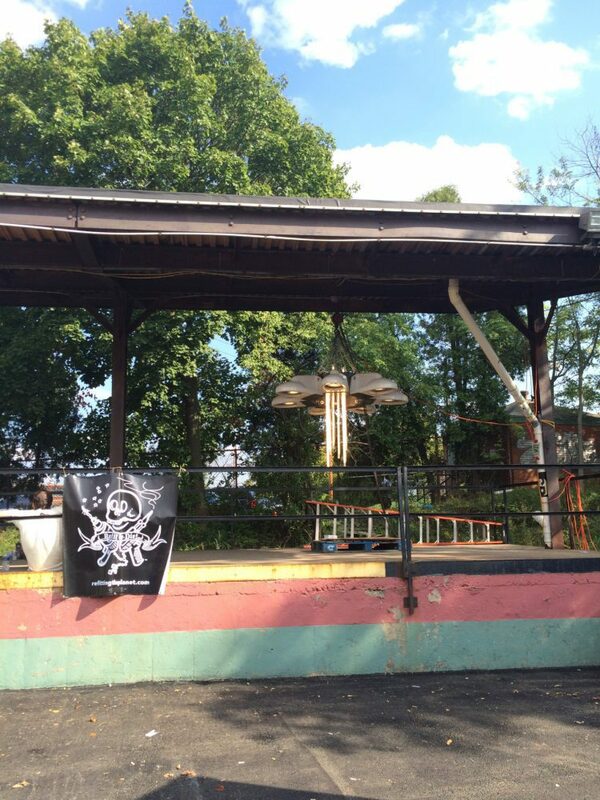 While this unique piece is the first and largest created at his new studio in Pittsburgh, Pennsylvania, it will not remain there. Instead, Trice will be donating it to the community-centered Construction Junction for display. Well it was a truly amazing Saturday at Construction Junction in Pittsburgh. To contribute my ideas and vision and energies in the arena of creative repurposing or applied deconstruction was an honor. 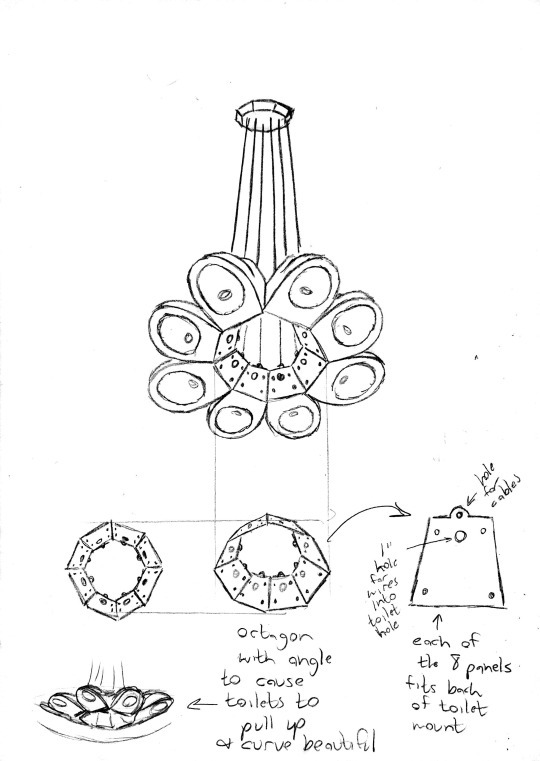 here are some off the initial sketches and the build of THE TOILET CHANDELIER. My latest, largest and first piece built in my studios new home base of PITTSBURGH, yinz!!! Very Exciting! Now I am making tweaks and changes to this design. There are still things to work out as it was a race to complete it at this event on Saturday, but the piece will be on permanent display at Construction Junction forevermore once completed! WOO HOO! !